Perhaps some of you saw my post last month from the wild and wonderful Summit Point Motorsports Park. 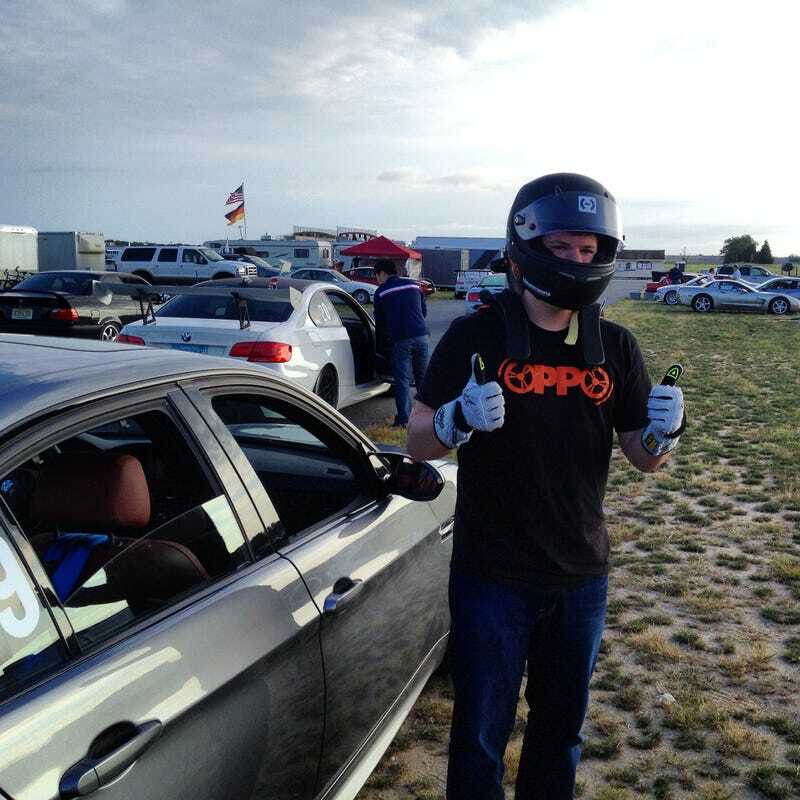 This past weekend was another event with the BMW CCA, which brought me back to my home track, New Jersey Motorsports Park in scenic Millville, NJ. There are two circuits there - Thunderbolt and Lightning - and this event was on Lightning, which I haven't driven since last October. Time to brush off the cobwebs! My girlfriend, who is generally supportive of my car stuff but had never actually come to a track day, decided to come down on Saturday to check things out. She was in for a real treat because I secured her a lift in my friend/instructor's BMW CCA club race B-Mod car. Check out how delighted she looks! She didn't stop smiling for a solid hour after she got out of the car. There was also BMW CCA club racing this weekend, and a banquet Saturday night at which our club presented a check to the B Positive (B+) Foundation, an incredible charity that supports families dealing with childhood cancer. Very proud to say my club is a part of that. As usual, we stayed until the day was truly over, track was cold and beers could be enjoyed. I always take my time packing up. It's so peaceful at the track on Sunday night. You wouldn't believe how quickly everyone gets out of there.